Meet Our New Kelvingrove Hotel Manager! 21 Mar Meet Our New Kelvingrove Hotel Manager! 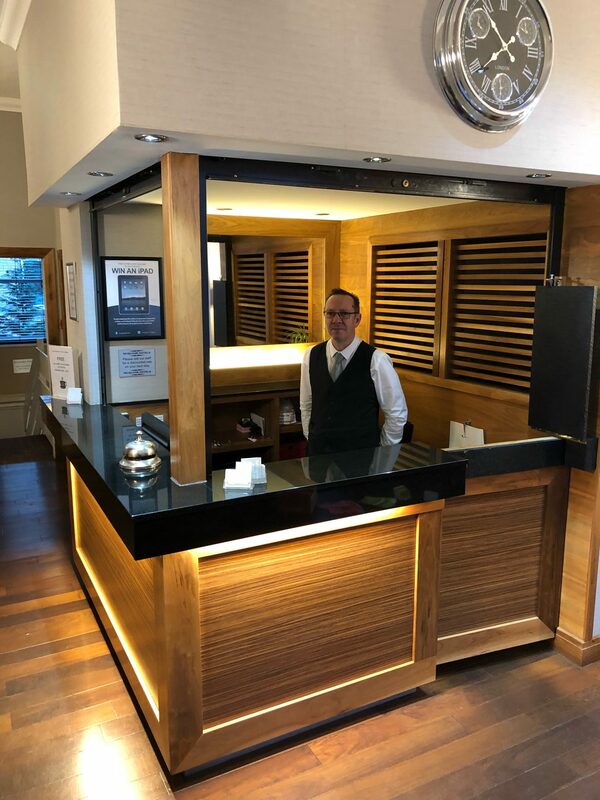 We rolled out the red carpet for Joe to join the Kelvingrove Hotel team in 2018 and it goes without saying, what a brilliant decision we made in appointing him! Joe comes from a catering background and has a genuine talent for front of house and customer service, and this is reflected in our guests numerous Trip Advisor reviews acknowledging the fantastic Joe personally. He’s everything you could desire in a hotel manager and more! He’s dedicated to ensuring your stay with us is a fabulous one! Just pop into reception to quiz him on his local knowledge and you will be pleasantly surprised! With two Employee of the Month awards to his name already, we, one hundred per cent know we can look forward to great things from Joe in the months and years to come. He took time out from his busy schedule to sit down and have a natter with us this month, so read on to discover what makes him tick! Hey Joe, how are you today? Great thanks, happy to be being interviewed! So, what’s your favourite part of being Manager at the Kelvingrove Hotel? Well it has to be waking up to the job. By that I mean that it’s an early start but luckily, I’m a morning person and there’s nothing better than seeing happy holidays-makers at the beginning of the day. Can you describe your daily tasks? I’m in charge of making sure that breakfast runs smoothly, and guests have everything they need. I also deal with live enquires by phone, email or in person. One of my main duties is welcoming guests to the residence and I must admit that’s my favourite part of the day – I’m a people person and love meeting folk from around the world. Like any job, there are challenges on a daily basis, but providing the best guest experience motivates me to meet those challenges head-on. Customer service, definitely. If our guests feel comfortable, supported and listened-to, then I know they’re going to want to come back to see us time and time again. What’s your absolute must-see for visitors to the city? The Kelvingrove Museum is top of my list. It’s interesting, a little bit quirky and totally free. And it’s just a couple of minutes away from our hotel too! You’re quite new to the role of Hotel Manager, what did you do before you were appointed? I actually worked in catering for 35 years. It’s really fast-paced so perfect training for my current position where I often have to juggle several tasks at once. I was based in hotels too, so I’m no stranger to this industry. Finally, it’s Christmas soon! Are you ready for the festive season? Of course! It’s like Christmas every day here – our days are always full of joy and surprises! But Christmas is a great time of year and welcoming guests to the hotel over the holiday period is really rewarding.